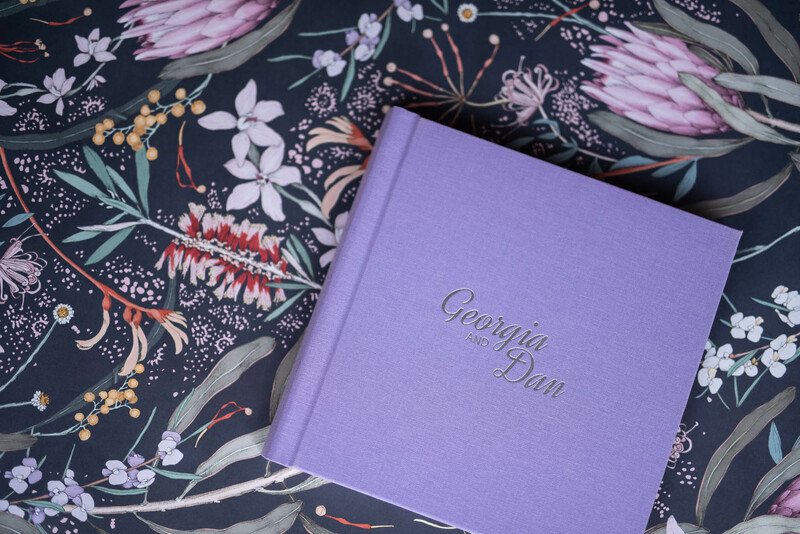 Established in 2006, The Coffee Table Book has been creating wedding albums for Australian couples for over 10 years. 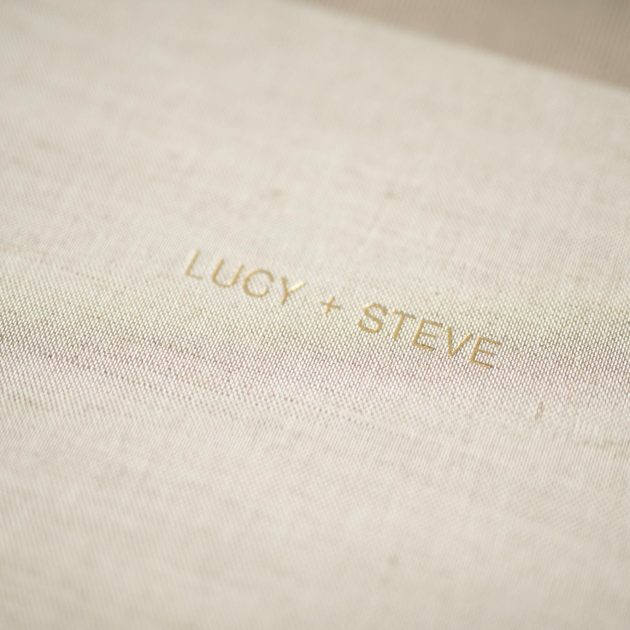 We turn your wedding photos into beautiful handmade wedding albums to last a lifetime. Forget the traditional albums your parents or grandparents had that hide away in the cupboard because they are too big and bulky. 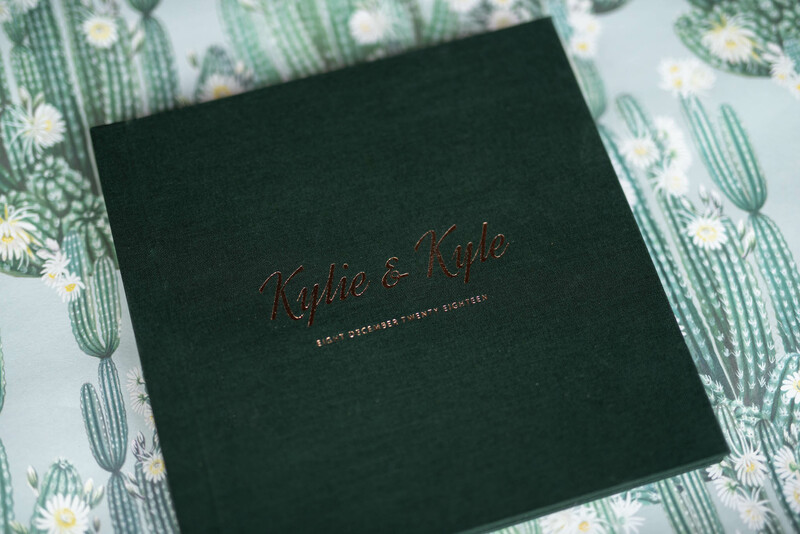 Our albums are modern art books you will proudly want to leave out on your coffee table to share and enjoy with loved ones to re-live your special day. 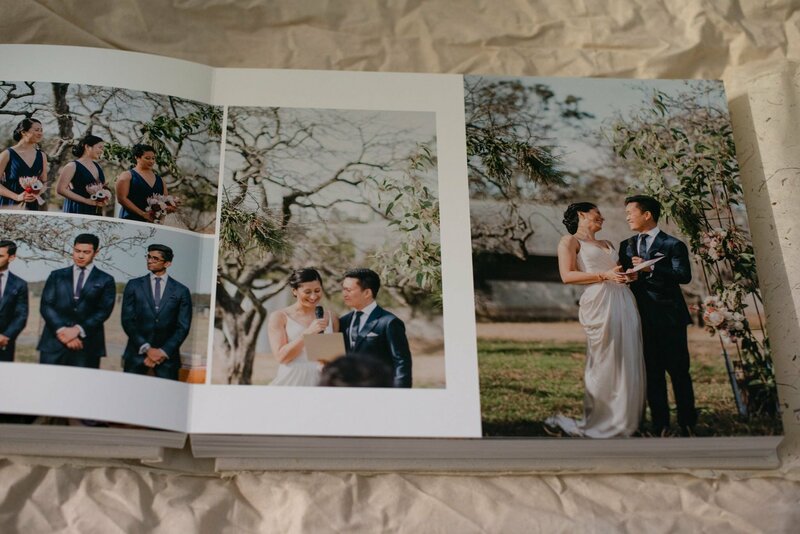 We take your wedding photos from a USB, digital device, harddrive or online gallery, design beautiful pages that tell the story of your wedding day, then print and bind them into modern albums. 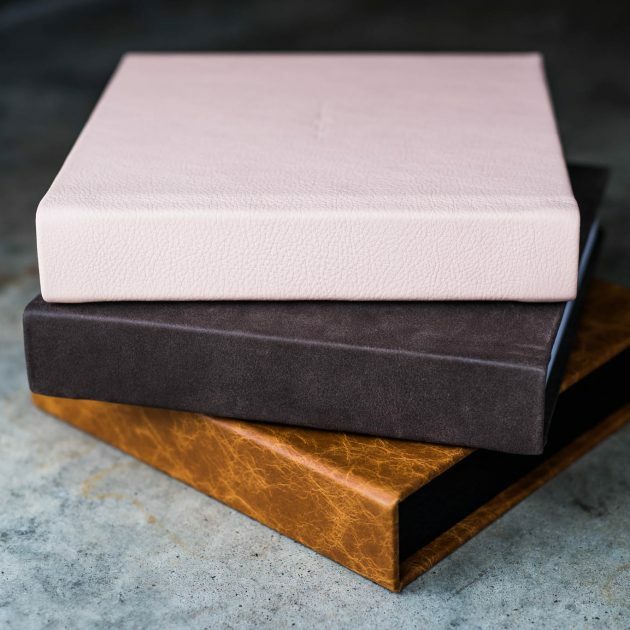 Our lay flat photo album range includes leather cover albums, linen cover albums, silk fabric cover albums and albums with photo-wrap covers. Available in a variety of colours – traditional black and navy, natural tones, pastels and bold colours. 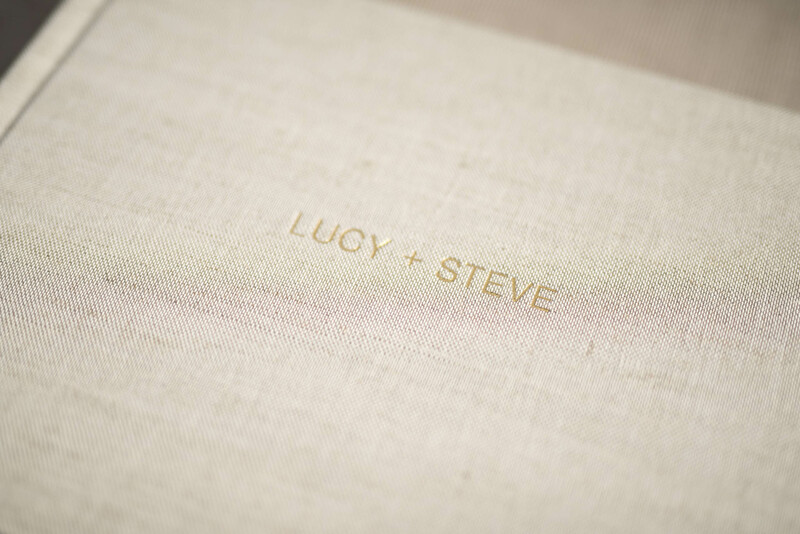 Personalise the cover with custom name embossing too. The fine art album features sturdy pages that lay flat when open allowing for full page panoramic landscape images to run across the entire spread uninterrupted. 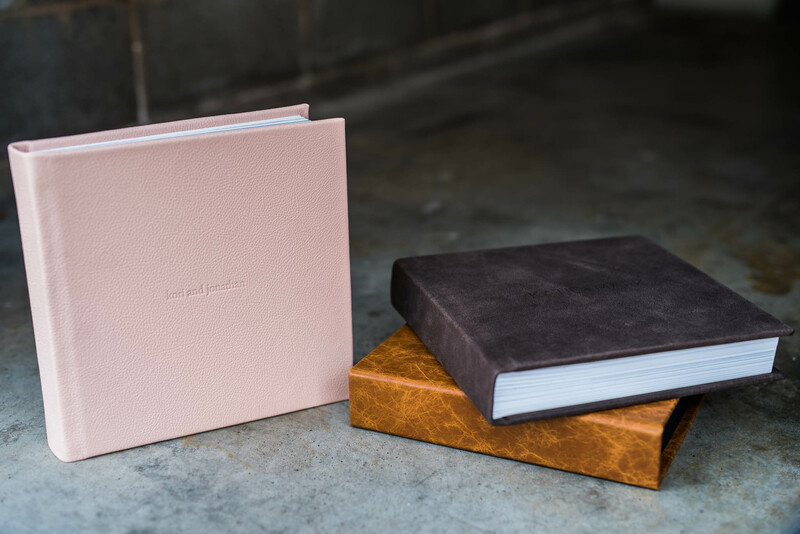 Every page is professional quality fine art paper with a matte finish and then bound by hand to create the finished album. 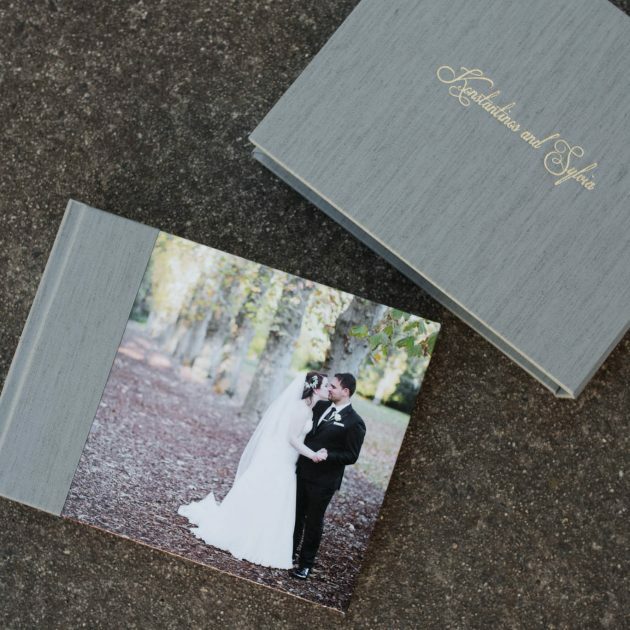 Showcase hundreds of your wedding day memories in our albums and photo books. 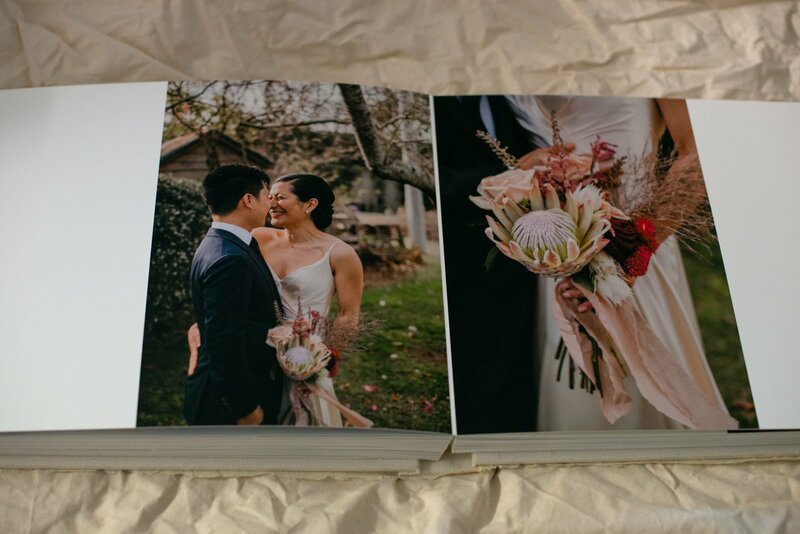 Starting with 30 pages (15 spreads) up to 90 pages (45 spreads) full of wedding photos. We’ve simplified the design process with our in-house design service. Simply hand over all of your digital wedding photos and we will pick the best images from the day to use in the page layouts. Either post us your USB, provide a link to your online gallery of high-res images provided by your photographer or online services such as Dropbox or Google Drive and we will download them from your gallery. Through our online proofing system, you will have the opportunity to review the design and make changes before going to print, ensuring all your favourite wedding day images and more make it into the album. Simply, we do all the work for you! Your only job is to review the design, let us know any changes you want, and after we make the changes you approve the design for print and binding. The finished album is then delivered to its forever home within 2-3 weeks plus allow for shipping time. The majority of our clients use professional photographers to capture their wedding day. We highly recommend using a professional photographer to capture one of the most special days to occur in your lifetime and a day that cannot be repeated. Read more about why we recommend professional wedding photographers – and Yes! it does make a huge difference using quality professional photography to the finished wedding album! 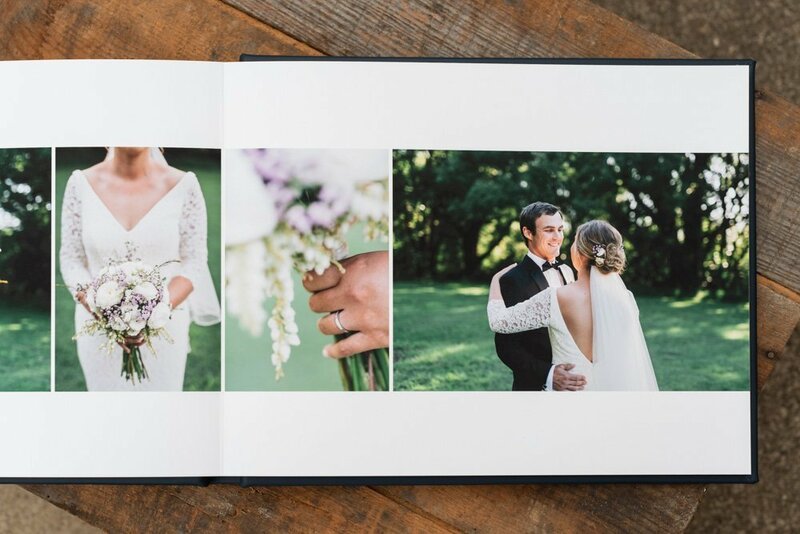 For The Coffee Table Book to design a wedding album for brides and grooms, you must either own full copyright or shared copyright with your photographer, or have permission/rights to use the photos for personal use. Australian Copyright Laws in the case of domestic photography (weddings and portraits) automatically gives the copyright ownership to the customer. However, most professional wedding photographers have their clients sign a contract stipulating the copyright is reassigned to the photographer but the client has either shared-copyright or rights to use the images for personal usage only. 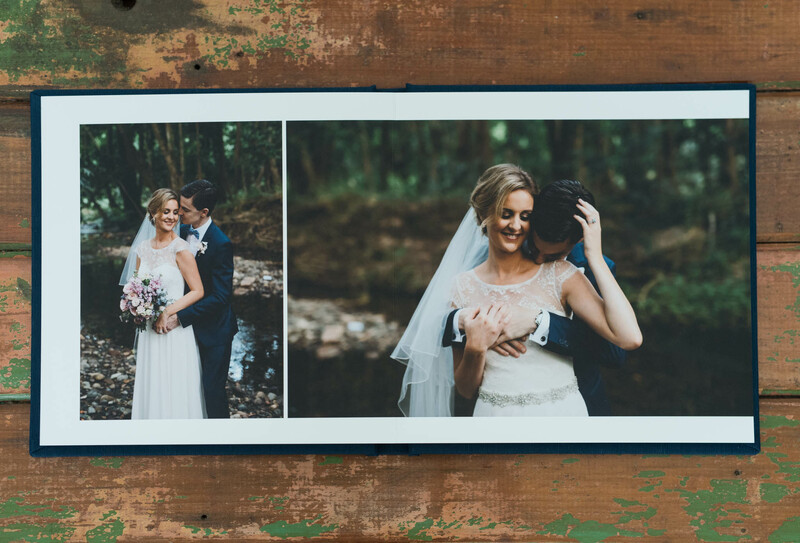 Having shared-copyright or rights to use the images for personal use does give you permission to print your wedding photos in one of our wedding albums. We always recommend reading contracts and making sure you understand the terms and conditions before signing. If in doubt, please read your contract or check the terms with your photographer. We work with couples all over Australia and can’t wait to design your album.